Ellisfield's Memorial Village Hall was built in 1920 to commemorate the fallen in World War 1 (see Remembrance Plaque below) and is situated opposite St Martin's Church in Church Lane, Ellisfield RG25 2QR. It has seen many changes to its interior and structure over the years (the last update saw the right-hand side being extended to incorporate new toilets and a wheelchair ramp being constructed at the front). The Hall is (along with The Fox public house!) a hub of Ellisfield's social life. As well as "old faithfuls" such as the Village Barbecue, Village Supper (aka the Harvest Festival Supper), Christmas Fayre and the Wine Walk, the hall committee also organise ad-hoc events. 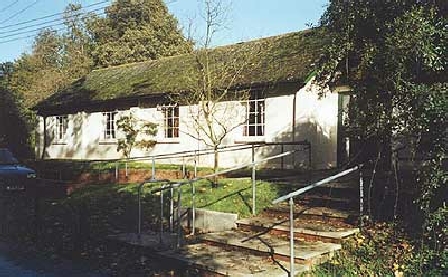 Village organisations (eg, the Parish Council, Horticultural Society, Ladies Club, Village Association and Volunteer Group) hold regular meetings and AGMs there and the Hall is available for hire by residents and non-residents alike. WOULD YOU LIKE TO HIRE THIS HALL? The hall is very versatile and has been used for numerous events including; meetings, lectures, Christmas parties, wedding receptions, buffets, cooking demonstrations, village shows, family gatherings and Yoga classes. The hall will accommodate 80 people sitting in ‘Theatre Style’ or there are 10 tables that will allow the hall to be set-up for the same number of people for meetings or parties, whilst still allowing space for circulation and access to the kitchen and gardens. The hire charge is £15 per hour (for Ellisfield Residents’ personal use, Village Groups and Regular Users it is £9 per hour). For more information and bookings, please contact the Bookings Secretary, Ray Reed, on 01256 381613 (Mobile: 07850 937180). We hope you will be able to join us for our Annual General Meeting. The AGM is open to all Ellisfield residents who may, if they wish, ask questions and make suggestions in regards to the running of the Hall and the organising of village events. Click HERE to display an event poster which includes a map showing each location. Each host will have flags outside their house, so you’ll know you’re at the right location! Donation per glass: £3 (or £10 for 4 glasses if donation is made in advance for drinks vouchers - see the event poster for details). All proceeds in aid of the Ellisfield Memorial Hall. Click HERE to display an event poster. With a 1.00pm start, food will be served from 2.00pm. Tickets (£10 for adults and £5 for under 10s) are available from Joanne Thomas (38100) and Ray Reed (381613) up until Monday, July 1. Please let them know if you’re a vegetarian when booking. As usual, you are asked to bring your own plate, bowl, knife, fork and spoon and your tipple of choice. 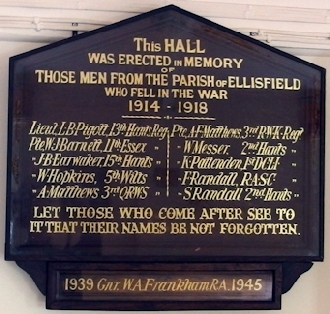 REMEMBERING the Ellisfield men commemorated by Ellisfield’s Memorial Hall. The details of the 10 men who lost their lives in the Great War were on display over the weekend in the Memorial Hall. These details can now also be viewed, as a PDF, by clicking HERE. EDITOR: There was a barbecue. No report has been provided. The latest edition of the Basingstoke & Deane Today magazine has an article on the recent £17,000 Local Infrastructure Fund grant. There is an excellent picture of Susie Deane, Tracey Gilvear and Rose Taplin. To view the article, click on the picture belo w.
Here is a copy of last year’s AGM Minutes and here is an Agenda for this AGM. Good news. The Memorial Hall's bid for a grant (see the September 14 News Item below) to improve the heaters, electrics and kitchen has been successful. It’s reported that the Committee is delighted with being able to use the £17,000 to properly update the hall’s facilities. The Christmas Fayre on Saturday was a success, with over £2,000 raised, and with a visit from Father Christmas too. The Hamper was won by P.C. Andrew Reid's sister in law and the fantastic cake baked by Celia Lunn was won by April Carroll, who guessed the weight of 9lb exactly. Th e last grant received was in 1999 and it is becoming a ‘Cinderella’ hall compared to our neighbouring villages. The heaters, now 26 years old, make cracking noises as the metal cools or heats (see picture left, showing the proposed new infra red heater that is currently on trial in the Hall). The kitchen (see right) is rather dilapidated and in need of an up-date. The Parish Council has stated that it is fully supportive of the grant application. This year, we had a beautiful summer's evening and there was a great mix of residents walking around the village. The proceeds of the evening, after the cost of the wine had been deducted, was £431.55. Helen Davies was the winner of the quiz (see picture of Mark Thomas presenting her with her bottle of bubbly). Susie Deane stepped down as Treasurer and Helen Davies (née Van de Meer), a fully qualified accountant, was elected to the position. Joanne Thomas was re-elected as Secretary. Tony Matthews was re-elected as Bookings Secretary.
" 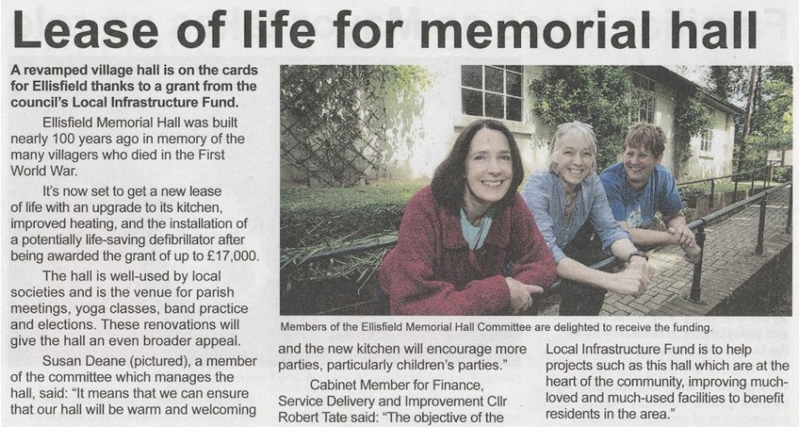 The Memorial Hall has received a generous bequest of £5,000 from the estate of Sally Adams (right). The committee is very grateful for her kindness and will use the bequest in a way to reflect Sal's great contribution to and love of Ellisfield." EDITOR: For the interest of newcomers to the village, Sally (who died last May) lived at her parents' house Wyckens, an original Ellisfield bungalow, now redeveloped, on the corner of the Axford Road and College Lane. Although she spent time at her house in Clapham, Sally was always in Ellisfield as much as possible and was one of the prominent residents of this village. If a village event did not have Sally present, her absence was always felt and remarked upon! 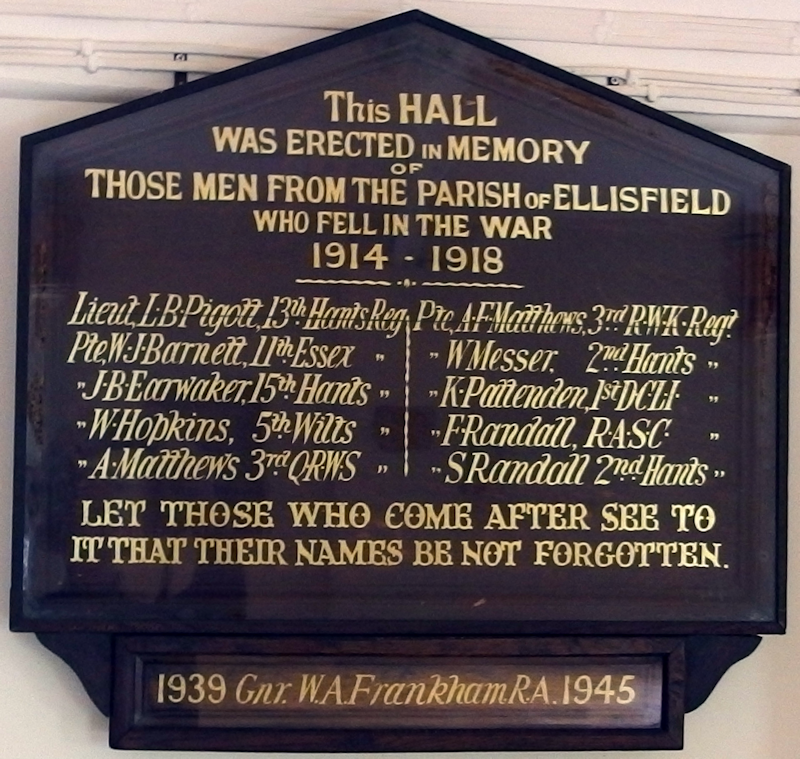 To commemorate the 100th Anniversary of the beginning of the 1914-18 World War, here is the Remembrance Plaque which is on display in Ellisfield's Memorial Hall (click on the image to view the larger versio n). The weather was perfect and it was a happy occasion, 88 people came! Phil Self co-ordinated a great team - thanks go to Phil, Howard Nason, Tony Matthews, Seumas Foster and David Cross. The butterfly leg of lamb seems to have been the most popular item from the barbecue. It was blisteringly hot by the barbecue but the cooking team were very good humoured. Meg Freeman and Tracey Gilvear were sterling workers in the kitchen. Joanne Thomas organised a brilliant raffle which raised £219. Graham Simpson arrived late (after a bicycle race) and propped his fine red racing bike rather too near the table of raffle prizes ... so the first prize drawn from the tombola drum was A Red Racing Bike - quickly claimed by Diane Sandeman! "The Ellisfield Memorial Hall Management Committee would like to announce the retirement of two key members who have together served an astonishing 43 years. "Jane Evans has served 27 years as Bookings Officer, a title which does not do justice to the many and varied tasks she undertook. The village owe her a great deal for her hard work and devoted service over all these years. "Christine Turner has served 16 years as Treasurer. She always produced detailed accounts for each Committee Meeting, which even the numerically challenged could easily comprehend. The Hall is in good financial health, due largely to Christine's careful management of our finances. "On behalf of all those who use and enjoy our Hall, a big thank you to Jane and Christine." Jane Evans and Christine Turner have resigned from the Memorial Hall Committee. Jane has served as the hall's Bookings Secretary for 27 years and Christine for 16 years as Treasurer. Tony Matthews (381149) has agreed to take on the role of Bookings Secretary. Susie Deane (381261) will become Treasurer, with another Ellisfield Village Association representative to be nominated to take her place on the Committee. It was decided at the meeting of the Memorial Hall Committee that the Hire Charges would be reduced to £9 per hour for Ellisfield Residents’ personal use, Village Groups and Regular Users, with all other hirers being charged £15 per hour. 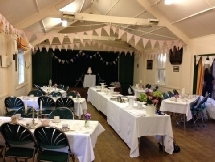 To book the Hall for a party or event, contact Tony Matthews (01256 381149). Jane Evans has calculated that 75 residents were on Friday evening’s Wine Walk. After expenses, the event raised £330 which will go towards the upkeep of the Memorial Hall. Jane Evans for storing the wine, laminating notices and putting them up in the village notice boards, distributing the wine and soft drinks to the hosts and picking up and returning the glasses to Sainsbury’s. Christine Turner for buying the wine, distributing (with Jane) the wine and soft drinks to the hosts, organising floats for the hosts and counting/banking the takings. Susie Deane for creating the flyer. Ray Reed for organising the printing of the flyers. Joanne Thomas, Travey Gilvear and Meg Freeman (also non-committee members Alison Swanston and Ted Dowson) for delivering the flyers and selling tickets. EDITOR: Events such as this strengthen the community spirit of our village, as evidenced by the number of residents “walking the Walk”, the hosts who opened their gardens (and generously supplied excellent “nibbles”) and the nine volunteers (see above) who all did their part in organising this event. and Ray Reed agreed to take the Chairmanship (this will be ratified formally at the Hall’s next committee meeting). EDITOR: Now that, for the first time in many years, the Memorial Hall has a full complement of committee members prepared to give of their time, I am sure that everyone will agree that we look forward to seeing the Hall regain its status in the village.